We will open up the gates of heaven for you! On this page you will find a detailed summary of five amazing segulos for finding your destined match. These segulos were carefully chosen in consultation with mekubalim who are learned Torah scholars from dozens of segulos that appear our seforim hakedoshim. Experience has shown that these segulos work more effectively than others. The rabbonim of Yeshuos in Amukah have arranged and prepared these segulos according to the rules and the tikkunim that are required, so that b’ezras Hashem they will bring about the desired results. 1. 1. We won’t stop davening at Amukah until you receive your yeshua. Do you absolutely need to get married? Do you feel there is no possibility of remaining in your current situation? Pay attention to the following segulah, the segulah for those who have made up their minds. Davening at the gravesite of Rabbi Yonason ben Uziel is known as a segulah for finding one’s destined partner, but sometimes one tefillah is not enough. Not always is it the right time, and the gates of mercy are not always open. In Yeshuos in Amukah we came up with a solution: if we don’t know when the favorable time is, then we daven all the time! Yes, you read correctly. Every week, for an entire year, the rabbonim of the kollel will daven for you at the gravesite of Rabbi Yonason ben Uziel. With stubbornness, without letting go, without stopping. They will plead again, and again, and again… until the tefilla is answered! We will call out each and every name, time after time after time, until we get that happy phone call from you, b’ezras Hashem. We won’t stop for an entire year, or until you get married! This is a great segulah, the most awesome and guaranteed of them all – the segulah of learning Torah. Supporting Torah scholars is brought down in the seforim hakedoshim many times as the greatest protection against heavenly decrees and accusations, and it is a tremendous merit without compare. The Mishna states that the reward for learning Torah is greater than all the Mitzvos combined! In the Yeshiva of Rabbi Yonason ben Uziel, you will find avreichim who are distinguished Torah scholars, who persevere in their learning every day, starting at 4 am. Their learning is in memory of Rabbi Yonason ben Uziel, l’ilui nishmaso and often focuses on his specific teachings. You will be zocheh to two amazing segulos at the very same time: Torah learning, and cleaving to the holy Tanah who is meilitz yosher for those in need of a shidduch. If you feel you need zechuyos, if you feel that the gates of heaven are locked before you – this is the segulah for you. The merit of Torah learning, together with the zechus of the Rabbi Yonason ben Uziel, work to remove all obstacles so you may soon become engaged to your intended one! For many generations there has been a known and accepted great segulah for finding a shidduch: buying a special tallis to be used under the chuppah and thereafter. Tallis Hayeshuos is a special, segulah and provides a ray of hope to despairing singles. For those interested in this Tallis the rabbonim of Yeshuos in Amukah have arranged a double segulah: a limited number of Talleisim have undergone a special tikkun at the kever of the Rabbi Yonason ben Uziel. This tikkun was first arranged by the Ben Ish Chai, may his memory protect us. This is the special Tallis HaYeshuos: a fine, kosher Tallis, mehudar according to all halachic rulings, which has been prepared using the holy tikkun at the kever of Rabbi Yonason ben Uziel. Many of those who received this marvelous tallis became engaged against all odds, in the merit of the holy Tanah, Rabbi Yonason ben Uziel. It is well-known in Eretz Yisroel that almost every tikkun is accompanied by the shofar blast. Blowing the shofar is known for tearing up and nullifying the harshest decrees. As our sages taught in the Gemara, at the time of shofar blowing on Rosh Hashanah, Hashem moves from the seat of strict judgment to the seat of mercy! The shofar reminds Hashem of the merit of Akeidas Yitzchak, and awakens in the heavens great mercy without end. 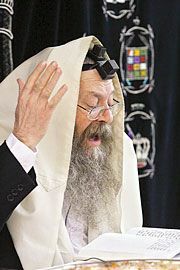 Yeshuos in Amukah Foundation organized a one-time enormous event, unique in our times that shook the heavens and earth: the Tikkun of 1000 shofars. Try to imagine ten shofars being blown at once, slicing through the air and causing the heart to tremble. Now imagine one hundred. Two hundred… one thousand shofars!! The land exploded from the sound and the tefillos together with the shofar blows split the heavens. Those present at the tikkun will never forget the experience. If you would like to participate in this great merit and awaken the mercy of Hashem upon yourselves, you may request from the Yeshuos Hotline to receive one of the shofars that was used in the tikkun and have it delivered directly to your house, as a segulah to tear up the decree and remove heavenly accusations. Wine is not like any other beverage – this is known to all. But not everyone knows that the great influence of wine on people has very deep roots in heavenly secrets. In halachah, the bracha on wine exempts all other drinks. Wine is intended for use in Mitzvos: we use it to sanctify Shabbos, we drink four cups of wine on seder night, and we recite a bracha on wine under the chuppah and at sheva brachos. Wine upon which a kosher beracha was recited possesses holiness, and according to kabbalah it has the power to bring an abundance of blessing. For example, it is mentioned in Shulchan Aruch that there is a custom to pour out a bit of wine on Motzsei Shabbos from the havdalah cup, as a segulah for wealth. The Yeshuos in Amukah Foundation holds a store of unique wine, wine that has been brought to the kever of Rabbi Yonason ben Uziel, and which has been carried around his kever seven times, making a pact according to the tikkun of the Ben Ish Chai. These circuits have the power to nullify harsh decrees and to remove obstacles, to open pathways to good fortune and to empower one to find favor in the eyes of others. Many amazing stories have come about as a result of the power of this wine for finding one’s shidduch. Dozens, even hundreds, of single people have found their beshert, after sending in their name for the shidduch tikkun! 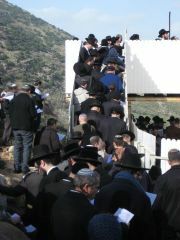 From 420 singles who sent in their names in the year 5771 for the holy tikkun at the kever of Rabbi Yonason ben Uziel, more than 350 found their zivvug, including some in very difficult circumstances. This is proven statistical data!